Electric vehicle (EV) startup Fisker claims that they have the technology to power a car for 500 miles and recharge it in 60 seconds. A new battery design developed by revived electric car company Fisker Inc., could revolutionize the way electric vehicle batteries store energy in a given volume to achieve a long operating range. In an announcement made last week, the startup carmaker which is run by Henrik Fisker, seen as a bit of a legend in the automotive design world and whose company became a serious competitor at one point to Tesla (NASDAQ:TSLA) before going bankrupt in 2013, revealed that it’s filed patents for a “superior energy density solid-state” battery technology that could enable a single range charge of 500 miles (804 km) and a charging time of just one minute. 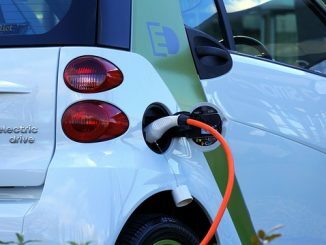 According to a report by GreenCarCongress (GCC), the new radical battery architecture would feature a bulk of three-dimensional solid-state electrodes that are projected to provide 2.5 times more energy density than typical lithium-ion batteries. The new design, which Fisker plans to show off at the upcoming Consumer Electronics Show (CES) in January, would also allow the three-dimensional structure — along with extremely high electronic and ionic conductivities as mechanisms of current that would enable fast charging and cold temperature operations — to cover 25 times more surface area than flat thin-film designs. Based on GCC, this is what enables the higher energy density and as a result, improved fast charging. Solid-state batteries however, are known to have limitations, such as flammable liquid electrolytes and disolvable cathodes. They also suffer from low rate capability and temperature ranges. What’s more, no company has been able to produce them in large-scale and at a competitive price point with lithium-ion. Having said that, Fisker Inc’s new battery system technology attempts to address these issues using the three-dimensional solid-state structure. It should be noted that the company has made some ambitious claims in the past. The most recent headline-grabbing one is that of its all-electric, 400 mile + range, 9 min fast charging Fisker EMotion sedan which involved plans to bring to market a new graphene-based hybrid high-capacity electrochemical capacitor. They seem though to have put this proprietary technology aside for the time being – at least for the first generation of the model. Fisker Inc. now says they’ll have on display at CES instead, a fast-charging tech that will enable charging for a 127-mile range in just 9 minutes. “Our aggressive vision for the entire EV and automotive industry, not just for Fisker Inc., revolves around making the impossible, possible—and this global solid-state battery breakthrough is reflective of our utmost seriousness in making that vision a reality,” commented Henrik Fisker, chairman and CEO of Fisker Inc. While the skepticism remains, the fact that Fisker’s team of scientists are reportedly working with a co-founder of solid-state battery pioneer Sakti3-a first inventor of the seminal patents and whose investors before being sold for $90 million to Dyson in Oct. 2015, included car giant General Motors and Silicon Valley investors Khosla Ventures, make the 1-minute charge time-claim sound too good to just pass up. Dyson by the way announced in September it was working on a battery electric vehicle of its own. The British company plans to launch the car by 2020, and has committed to investing more than $2 billion in the project. Getting back to Fisker Inc, the company anticipates its technology may be ready for vehicle applications by 2023. The delay is attributed, among other things, to the lack of supply chains as well as established quality procedures. Fisker’s management however, thinks that through non-automotive partnerships the commercialization of battery applications could occur much earlier. The car manufacturers and the entire world for that matter realize that the time to develop a long range EV is now. 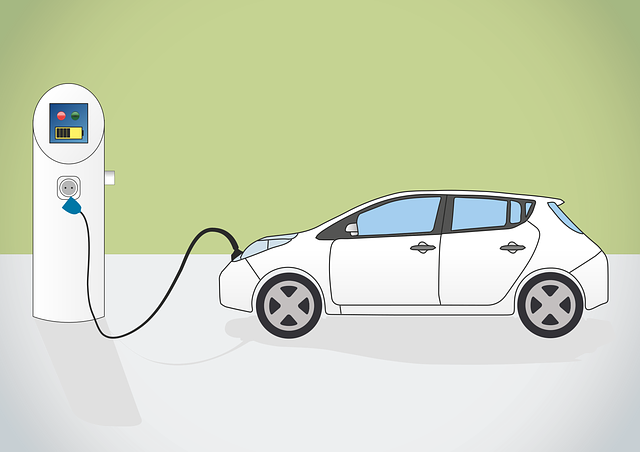 Climate change and other environmental pressures are on to move away from the tech of internal combustion engines and finally push the automobile industry into mass electrification. Any electrical engineer can tell you that 500 miles range will need about 500/3 kWh of battery storage which if “pumped” into a battery in 1 minute means 60*500/3 kW, ie 10MW of power flowing through a “wire”. This requires hand waving type imaginary engineering beyond belief. There is only one way to get 1 minute electrical charging and that is to use a pumped liquid electrolyte that has been recharged in a refinery and shipped around the country to be used in flow batteries which have yet to make a mark. Fact is the per capita primary energy use in the US is 10kW every second of our lives, see the “Energy Flow Graph” and that’s about the same as 8 gals of fuel every day or the same amount of energy as driving about 240 miles each and every day. And another detail, the Aluminum used in Tesla & Fisker cars requires 6* the embedded energy of plain steel, the weight saving is needed to counter the battery weight. VW tells us that a Golf car made of steel has 18,000kWh of electrical energy built in which is comparable to 56,000 miles of e driving, for the expected 150,000 miles of typical life of car. see wikipedia embedded energy of materials. Replace most of the steel material in a car by Aluminum, and maybe we have up to 6*56,000 miles of embedded energy for the 150,000 miles of lifetime use. Anyone see a problem here? Making cars extremely expensive means making them out of very high energy content materials which will likely never pay back their embedded energy premium, exceptions for public transport though.